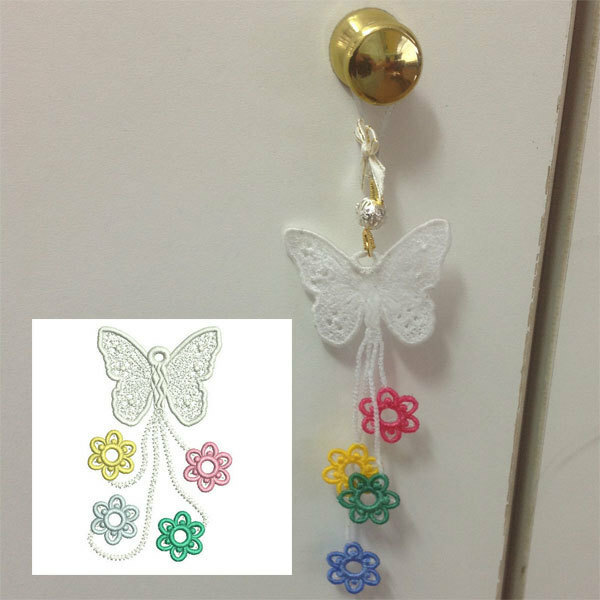 This butterfly charm is freestanding lace, done in the 5x7 hoop. When rinsed, the flowers fall down at different levels. Add some beads and a bow to the top to finish off this cupboard charm. Fairy Wings - 2 Sizes! Finish Size 2.54" x 4.20"